Welcome to Locust & Plum where we specialize in industrial decor. We know that sometimes you just don't have the counter space to spare to hold those pesky paper towels, so mount this on your wall or under a cabinet for a space saving industrial style solution! 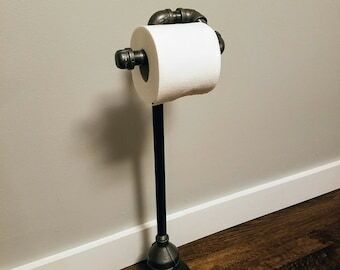 We've updated our popular version of the wall mounted paper towel holder. 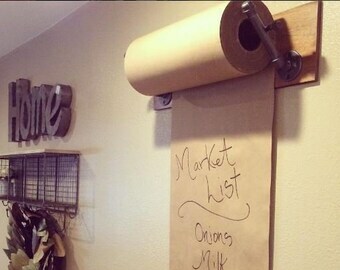 This version includes an additional bar to use as a guide for tearing the paper towels. 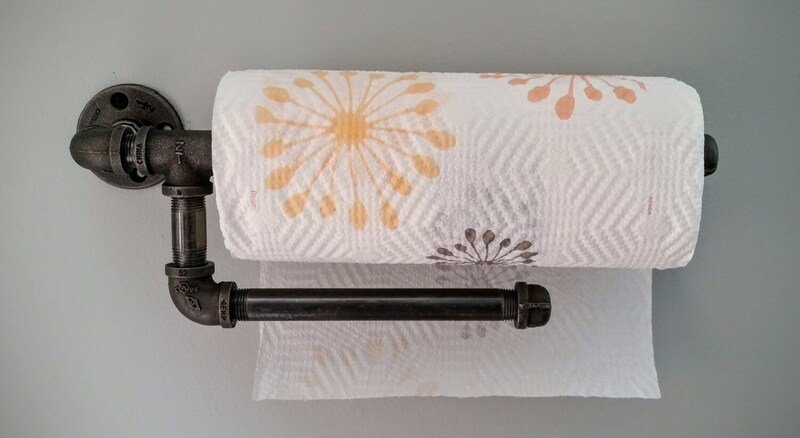 Never get the paper towel roll wet or messy like you do with other paper towel holders. Simply pull up against the ripper bar and you get a clean tear the first time, every time! 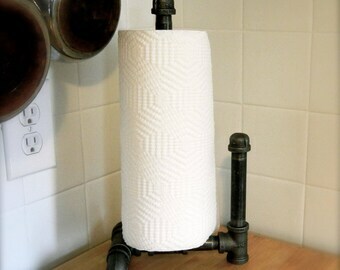 This industrial paper towel holder is made with 1/2" black pipe/fittings and is sealed to keep it looking great. Installation hardware included. 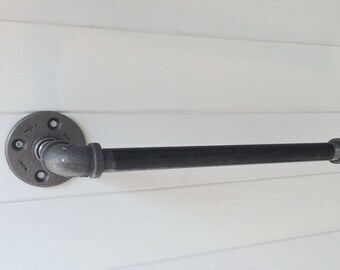 The overall length of this item is 16 1/2" and it sticks out from the wall approximately 4"
Do you need items to go along with this piece? Check our other listings and if you don't see it, send us a message and we can create something custom just for you. IF YOU ARE ORDERING MULTIPLE ITEMS, PLEASE CONTACT ME OTHERWISE ETSY MAY CHARGE YOU TOO MUCH FOR SHIPPING!! If that happens, we will refund the difference once your items ship. Our items are made to order. Please be aware of your processing time for each item. However, we generally have orders shipped well before the deadline.